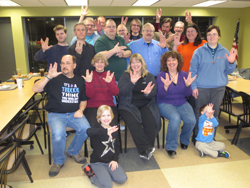 Several members of Star Base Andromeda join other area fans for the premiere of Star Trek IV: The Voyage Home, at the Plaza 4 Theater in downtown Lincoln on November 26, 1986. 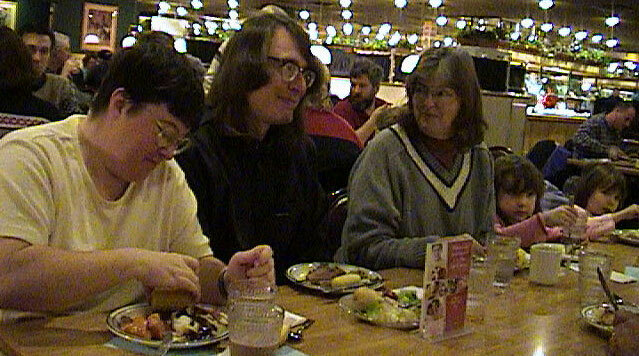 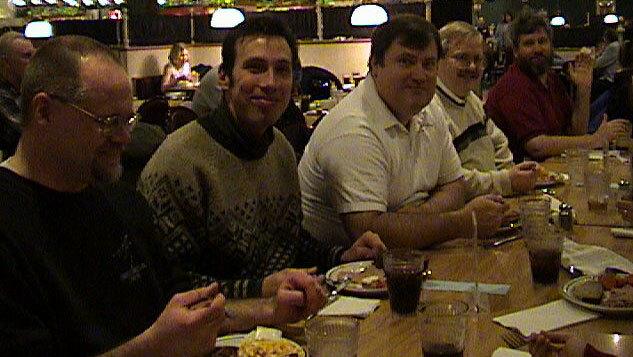 The members and associates of Star Base Andromeda celebrated the 30th anniversary of the club's founding with a dinner at the Old Country Buffet restaurant on February 7, 2004. 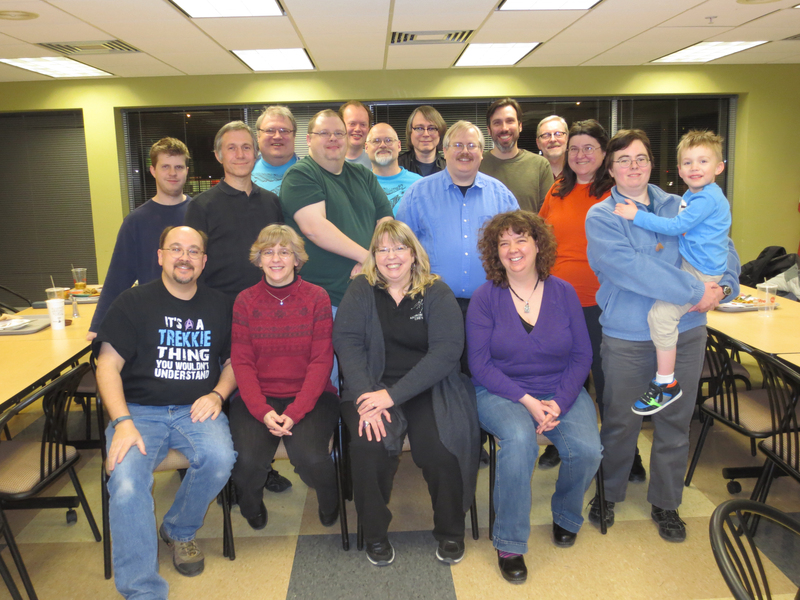 Including family members, there were a total of 21 in attendance. 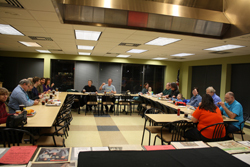 You can view larger images of the pictures below by clicking on these small images. 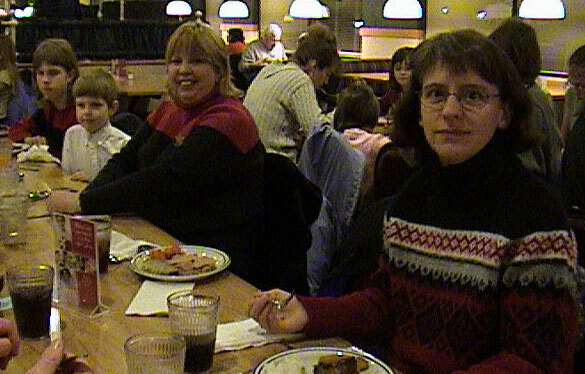 Long-time Star Base Andromeda member Diane Taurins at the reception on the final night her art was included in a week-long exhibit of UNL staff members' artwork in the gallery inside the downtown UNL student union -- September 11-15, 2006. 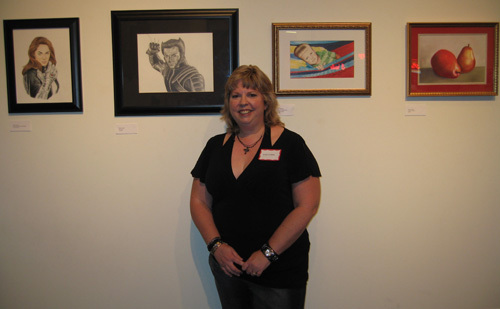 Check out her artwork in more detail at Portrait Planet. 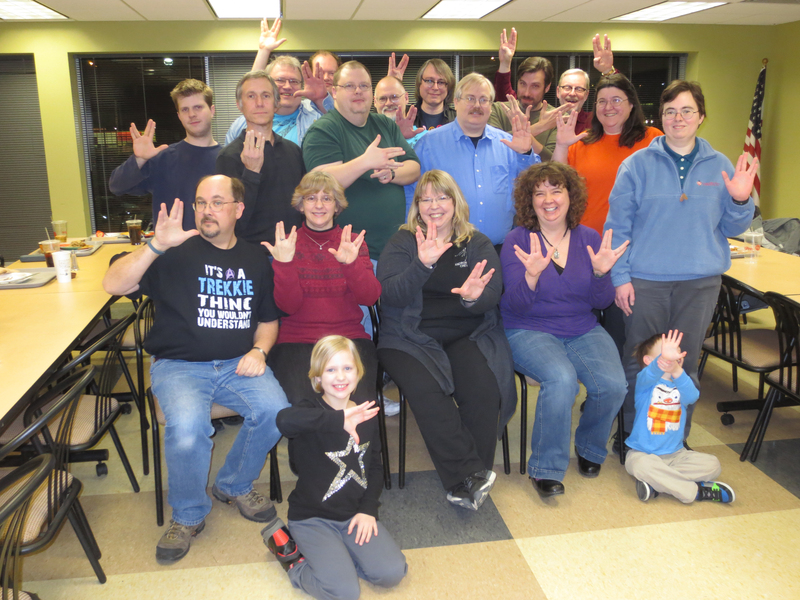 The members and associates of Star Base Andromeda celebrated the 40th anniversary of the club's founding with a dinner at the HyVee conference rooms at 50th & "O" St., on February 8, 2014. Including family members, there were a total of 19 in attendance. You can view larger images of the pictures below by clicking on these small images. 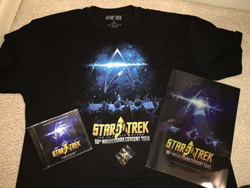 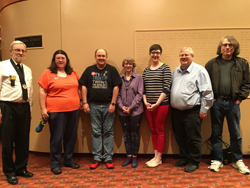 On April 26th, 2016, at least 7 SBA members were attendees at Star Trek: The Ultimate Voyage concert at the Lied Center for the Performing Arts at UNL. 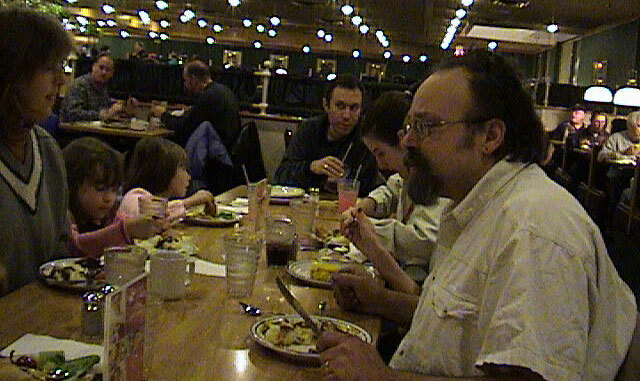 You can view larger images of the pictures below by clicking on these small images. 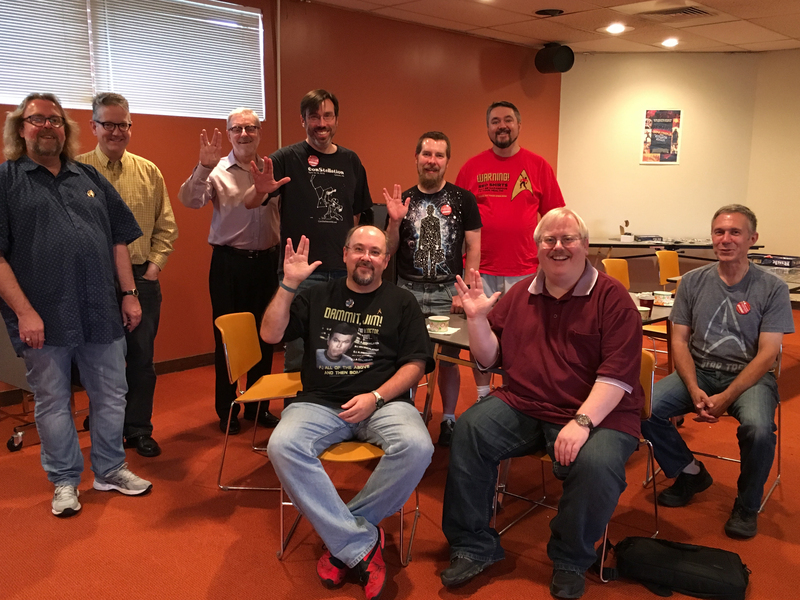 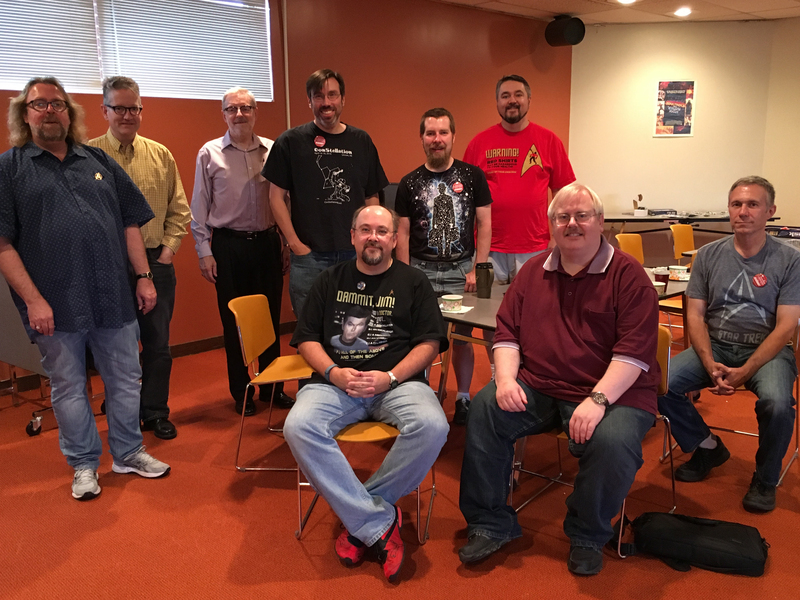 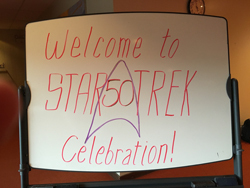 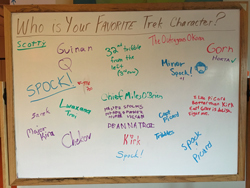 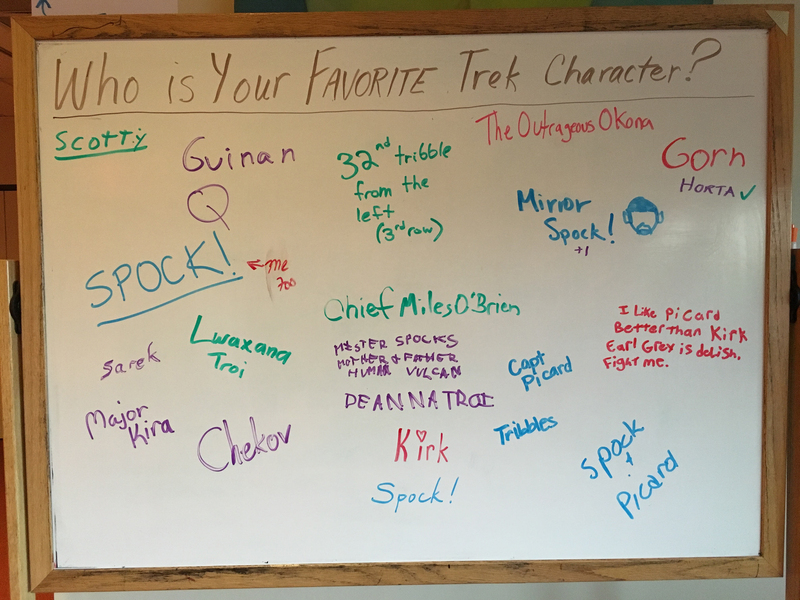 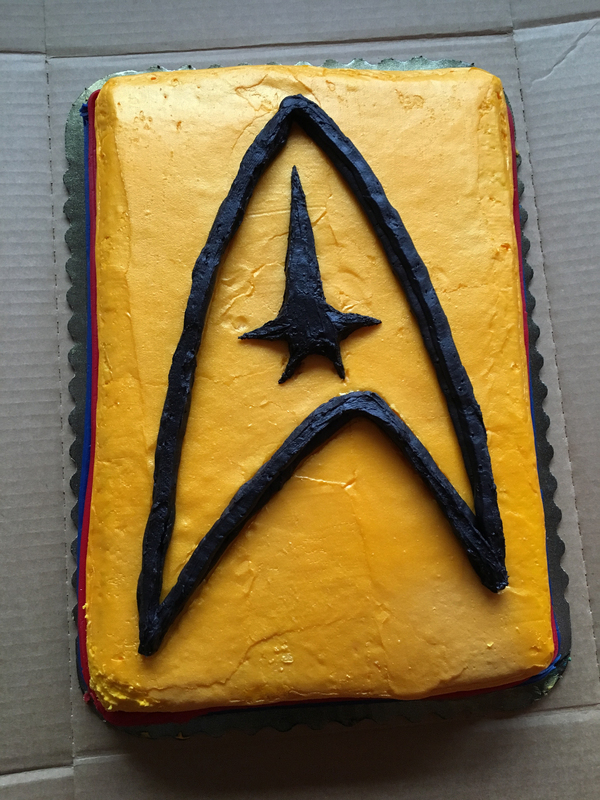 The members and associates of Star Base Andromeda celebrated the 50th anniversary of the premiere of Star Trek, with a public open house on September 3, 2016. 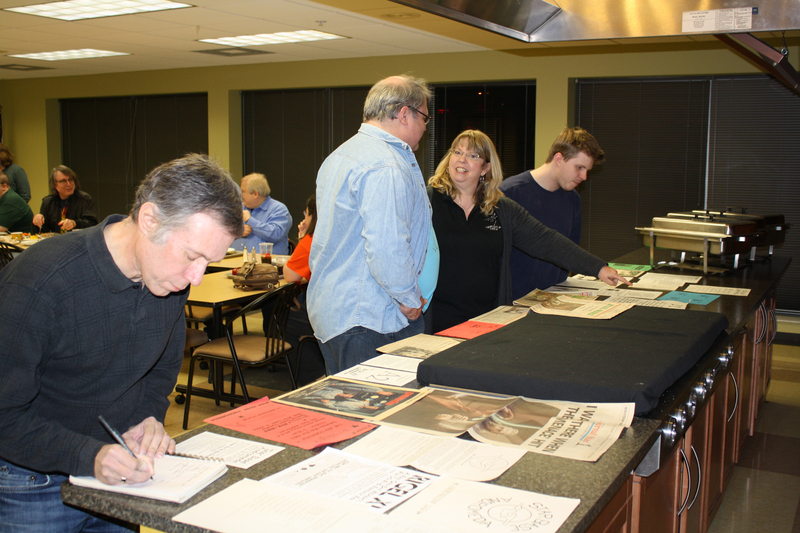 Between club members, associates, and guests, we had a total of 42 attendees at this day-long event.